One of the most common struggles people have today is the struggle to lose weight. However, not many realize just how much of a challenge it can be to gain weight if you are naturally thin. According to the Centers for Disease Control and Prevention, nearly 2% of Americans qualify as underweight with a BMI of 18.5 or lower. This can be extremely difficult when being underweight is less about genetics and more about malnutrition. In this guide, we will discuss four methods to gain healthy weight and muscle you probably didn’t know. You might have heard countless dieticians and nutritionists say that to gain weight, you must increase your normal intake or eat a double serving of dessert. However, to gain weight and muscle your body requires the time and dedication to naturally build up muscle mass; just as gaining muscle mass helps athletes build strength faster and become more efficient in training. Did you know that broccoli can reduce estrogen levels in the body? 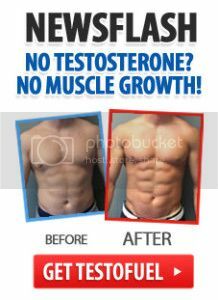 As a result, your testosterone level will increase as your estrogen levels decrease to help build your strength. As a cheap vegetable, consider including broccoli in various forms such as steamed, cooked, or juiced on a weekly basis to gain the most benefits. Contrary to the fat-free trend in the diet world, your body actually needs fat. This is because the body relies on the energy supply that muscles need during physical activity. For overall strength, your total daily calories should include 35% fat. You can opt for healthy fat options like eggs, olive oil, avocado, and other green shakes to help boost your fat and protein intake. Exercises that require the use of more than one muscle region will help build mass in the body. Take the deadlift for example; the deadlift works the arms, lower back, and legs while the squat trains the core and legs. The bench press then works the shoulders, triceps, and chest – all of which result in a total body workout. The more muscles you train per session, the more muscle mass you will gain. Furthermore, the process of weight gain is quite similar to weight loss. It requires a long-term commitment to maintain a physical routine and control your nutrition, even after you’ve reached your goal weight. With quality protein, nutritious foods and discipline, you can build strong muscles and achieve a healthy weight.